Thom Roberts works out of Studio A, an organisation in Sydney that supports and creates professional pathways for artists with intellectual disabilities. A multi-disciplinary artist, his practice spans painting, drawing, installation, performance and photography. Roberts is best known for creating spontaneous nicknames and portraits of the people he meets, based on assessments of the crown of their head. 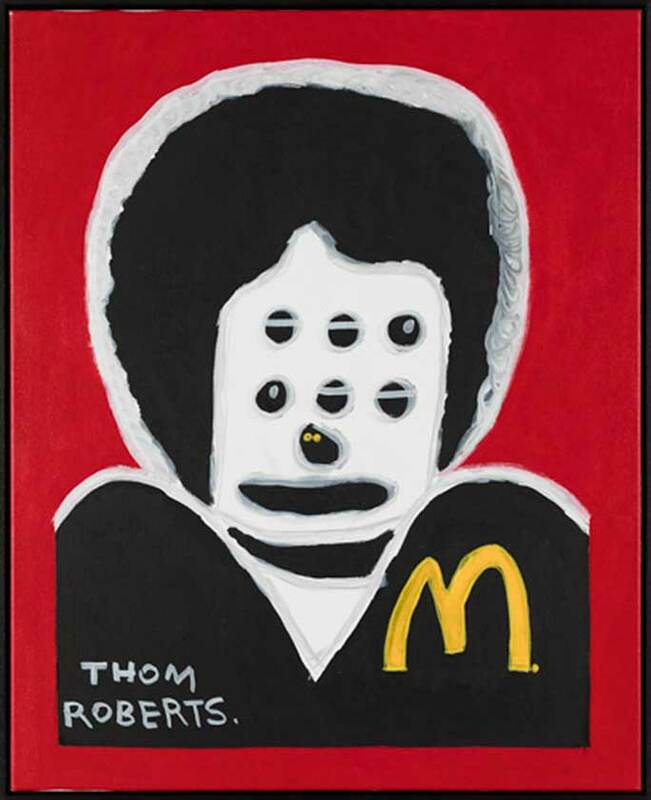 ‘Thom Roberts Loves Maccas’ is from an ongoing series of self-portraits that pays homage to junk food restaurant chains – one of his great passions in life.